Watch the trailer for The Case for Christ film, based on the true story of award-winning investigative journalist Lee Strobel, an avowed atheist, who applies his well-honed journalistic and legal skills to disprove the newfound Christian faith of his wife… with unexpected, life-altering results. Coming to theaters nationwide on April 7, 2017 from Pure Flix Entertainment. 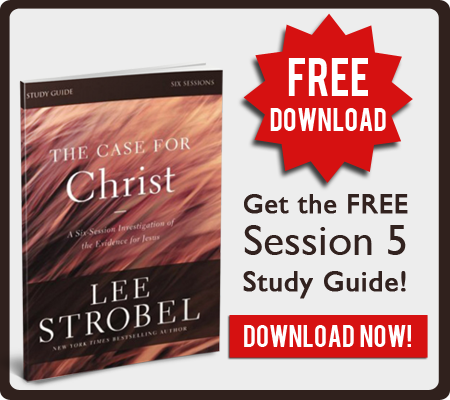 This week’s Bible Study of the Week is from session five of The Case for Christ video-based small group study by bestselling author Lee Strobel. Lee takes you on an investigation of the life of Jesus from historical evidence and expert testimony. Is there credible evidence that Jesus of Nazareth really is the Son of God? Skeptics dismiss the Jesus of the Gospels by claiming there is no evidence in the case for Christ. Lee Strobel disagrees. The former legal journalist and one-time atheist knows how to ask tough questions. His own search for truth about Jesus led him to faith in Christ. 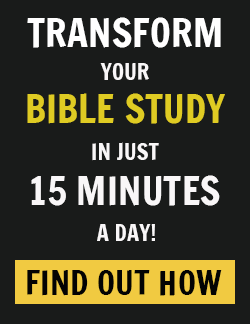 Now Strobel invites you to investigate the truth about Jesus that guided Strobel from atheism to faith in Christ in this study that can be used for personal reflection or for group discussion. Watch the free session five video below and get our PDF download of the study guide accompaniment. Click here to access the free PDF study questions. Sometimes called the study of durable rubbish, archaeology involves the uncovering of artifacts, architecture, art, coins, monuments, documents, and other remains of ancient cultures. Experts study these relics to learn what life was like in the days when Jesus walked the dusty roads of ancient Palestine. Hundreds of archaeological findings from the first century have been unearthed, and I was curious: did they undermine or undergird the eyewitness stories about Jesus? At the same time, my curiosity was tempered by skepticism. I have heard too many Christians make exorbitant claims that archaeology can prove a lot more than it really can. I wasn’t interested in more of the same. When scholars and students study archaeology, many turn to John McRay’s thorough and dispassionate 432-page textbook Archaeology and the New Testament. When the Arts and Entertainment Television Network wanted to ensure the accuracy of its Mysteries of the Bible program, they called McRay as well. And when National Geographic needed a scientist who could explain the intricacies of the biblical world, again the phone rang in McRay’s office at well-respected Wheaton College in suburban Chicago. His office features the kind of cozy couch you’d find on the front porch of a country home. I settled into it while McRay, casually dressed in an open-necked shirt and a sports jacket that looked comfortably worn, leaned back in his desk chair. In fact, he added, there have been several instances, similar to the story about the harbor, in which scholars initially thought Luke was wrong in a particular reference, only to have later discoveries confirm that he was correct in what he wrote. For instance, in Luke 3:1 he refers to Lysanias being the tetrarch of Abilene in about AD 27. For years scholars pointed to this as evidence that Luke didn’t know what he was talking about, since everybody knew that Lysanias was not a tetrarch but rather the ruler of Chalcis half a century earlier. If Luke can’t get that basic fact right, they suggested, nothing he has written can be trusted. Another example is Luke’s reference in Acts 17:6 to “politarchs,” which is translated as “city officials” by the NIV, in the city of Thessalonica. “For a long time people thought Luke was mistaken, because no evidence of the term ‘politarchs’ had been found in any ancient Roman documents,” McRay said. McRay wasn’t stung by the directness of my question. “Not at all,” came his response. “It only appears to be a contradiction because you’re thinking in contemporary terms, in which cities are built and stay put. But that wasn’t necessarily the case long ago. “What you’re saying is that both Luke and Mark could be right?” I asked. Again archaeology had answered another challenge to Luke. And given the large portion of the New Testament written by him, it’s extremely significant that Luke has been established to be a scrupulously accurate historian, even in the smallest details. One prominent archaeologist carefully examined Luke’s references to thirty-two countries, fifty-four cities, and nine islands, finding not a single mistake. Matters, for example, like the resurrection of Jesus, the most influential evidence of his deity, which Luke says was firmly established by “many convincing proofs” (Acts 1:3). Archaeology may support the credibility of Luke, but he isn’t the only author of the New Testament. I wondered what scientists would have to say about John, whose gospel was sometimes considered suspect because he talked about locations that couldn’t be verified. Some scholars charged that since he failed to get these basic details straight, John must not have been close to the events of Jesus’ life. That conclusion, however, has been turned upside down in recent years. “There have been several discoveries that have shown John to be very accurate,” McRay pointed out. “For example, John 5:1 – 15 records how Jesus healed an invalid by the Pool of Bethesda. John provides the detail that the pool had five porticoes. For a long time people cited this as an example of John being inaccurate, because no such place had been found. “So this challenges the allegation that the gospel of John was written so long after Jesus that it can’t possibly be accurate,” I said. In fact, McRay reiterated what Dr. Bruce Metzger had told me about archaeologists finding a fragment of a copy of John 18 that leading papyrologists have dated to about AD 125. By demonstrating that copies of John existed this early and as far away as Egypt, archaeology has effectively dismantled speculation that John had been composed well into the second century, too long after Jesus’ life to be reliable. “It has been pointed out,” said Martin, “that given these directions Jesus would have been traveling directly away from the Sea of Galilee.” When I posed Martin’s critique to McRay, he furrowed his brow and then went into a flurry of activity, pulling a Greek version of Mark off his shelf, grabbing reference books, and unfolding large maps of ancient Palestine. “What these critics seem to be assuming is that Jesus is getting in his car and zipping around on an interstate, but he obviously wasn’t,” he said. Reading the text in the original language, taking into account the mountainous terrain and probable roads of the region, and considering the loose way “Decapolis” was used to refer to a confederation of ten cities that varied from time to time, McRay traced a logical route on the map that corresponded precisely with Mark’s description. Again archaeological insights had helped explain what appeared at first to be a sticking point in the New Testament. I asked McRay a broad question about that: had he ever encountered an archaeological finding that blatantly contravened a New Testament reference? Still, there were some matters I needed to resolve. I pulled out my notes and got ready to challenge McRay with three long-standing riddles that I thought archaeology might have some trouble explaining. McRay calmly pulled out a copy of his book. “Actually, the discovery of ancient census forms has shed quite a bit of light on this practice,” he said as he leafed through the pages. Finding the reference he was searching for, he quoted from an official governmental order dated AD 104. Gaius Vibius Maximus, Prefect of Egypt [says]: Seeing that the time has come for the house to house census, it is necessary to compel all those who for any cause whatsoever are residing out of their provinces to return to their own homes, that they may both carry out the regular order of the census and may also attend diligently to the cultivation of their allotments. This, however, did not entirely dispose of the issue. Luke said the census that brought Joseph and Mary to Bethlehem was conducted when Quirinius was governing Syria and during the reign of Herod the Great. I was confused. “What does that mean?” I asked. This sounded a bit speculative to me, but rather than bog down this conversation, I decided to mentally file this issue away for further analysis later. When I did some additional research, I found that Sir William Ramsay, the late archaeologist and professor at both Oxford and Cambridge Universities in England, had come up with a similar theory. He concluded from various inscriptions that while there was only one Quirinius, he ruled Syria on two separate occasions, which would cover the time period of the earlier census. Other scholars have pointed out that Luke’s text can be translated, “This census took place before Quirinius was governing Syria,” which would also resolve the problem. The matter was not as precisely pinned down as I would like. However, I had to admit that McRay and others had offered some plausible explanations. I could conclude with confidence that censuses were held during the time frame of Jesus’ birth and that there is evidence people were indeed required to return to their hometowns—which I still thought was odd! Many Christians are unaware that skeptics have been asserting for a long time that Nazareth never existed during the time when the New Testament says Jesus spent his childhood there. In an article called “Where Jesus Never Walked,” atheist Frank Zindler noted that Nazareth is not mentioned in the Old Testament, by the apostle Paul, by the Talmud (although sixty-three other Galilean towns are cited), or by Josephus (who listed forty-five other villages and cities of Galilee, including Japha, which was located just over a mile from present-day Nazareth). No ancient historians or geographers mention Nazareth before the beginning of the fourth century. The name first appears in Jewish literature in a poem written about the seventh century AD. This issue wasn’t new to McRay. “Dr. James Strange of the University of South Florida is an expert on this area, and he describes Nazareth as being a very small place, about sixty acres, with a maximum population of about four hundred and eighty at the beginning of the first century,” McRay replied. However, that was a conclusion; I wanted the evidence. “How does he know that?” I asked. In addition, he said there have been archaeological digs that have uncovered first-century tombs in the vicinity of Nazareth, which would establish the village’s limits because by Jewish law burials had to take place outside the town proper. Two tombs contained objects such as pottery lamps, glass vessels, and vases from the first, third, or fourth centuries. The problem: there is no independent confirmation that this mass murder ever took place. There’s nothing in the writings of Josephus or other historians. There’s no archaeological support. There are no records or documents. I agreed. In fact, in 1997 and 1998 there was a steady stream of news accounts about Muslim extremists repeatedly staging commando raids and slaying virtually entire villages, including women and children, in Algeria. The entire world was taking notice. “But,” added McRay, “you have to put yourself back in the first century and keep a few things in mind. First, Bethlehem was probably no bigger than Nazareth, so how many babies of that age would there be in a village of five hundred or six hundred people? Not thousands, not hundreds, although certainly a few. “Second, Herod the Great was a bloodthirsty king: he killed members of his own family; he executed lots of people who he thought might challenge him. So the fact that he killed some babies in Bethlehem is not going to captivate the attention of people in the Roman world. As a journalist, this was still hard to fathom. “This just wasn’t much of a story?” I asked, a bit incredulous. Maybe so, but this was difficult to imagine for a journalist who was trained to sniff out news in a highly technological age of rapid and worldwide communications. At the same time, I had to acknowledge that from what I knew of the bloody landscape of ancient Palestine, McRay’s explanation did seem reasonable. This left one other area I wanted to inquire about. And to me, it was the most fascinating of all. The study questions below are also printed in this free PDF study guide to Session 5. You will want to read the “Think About This” excerpts in the PDF study guide to be able to answer all the questions. Access the PDF now. 1. Consider the following deduction: If it can be shown that Jesus really did return from the dead, then it can be concluded that Jesus really is who he claimed to be: the one and only Son of God. Do you agree or disagree? Would verification of the resurrection convince you of Jesus’ divinity? Explain. 2. Some skeptics claim that although Jesus might have been crucified, he never really died. Instead, he merely fainted on the cross or was drugged, and later escaped as part of a conspiracy. To what extent do you think the “swoon hypothesis” (see the “Think About This!” box in the PDF download) makes sense? Give reasons for your explanation. 3. Which piece of medical evidence (see the “Think About This!” boxes) most stands out to you as substantiating evidence for the biblical account of the crucifixion and death of Jesus? 4. Which is the weakest piece of evidence or makes the least amount of sense? In your opinion, what are the odds that Jesus really survived his crucifixion? 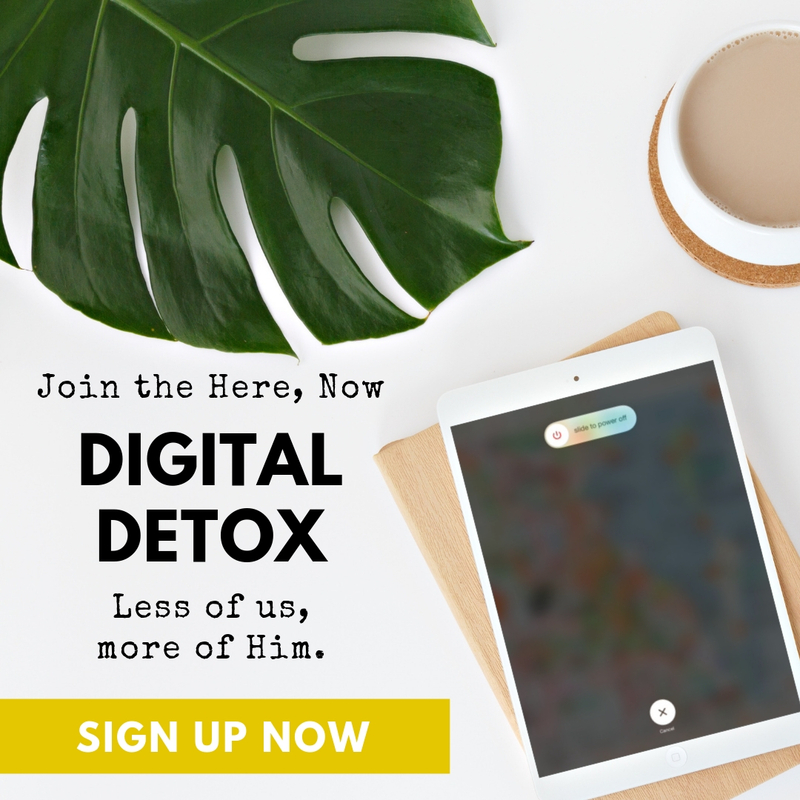 Do you think it’s possible that Jesus didn’t actually die on the cross and his “resurrection” was only a near-death experience from which he recovered? Give reasons for your answers. 5. Did you know that Jesus was so anguished in the garden that his sweat became like drops of blood? (See the “Think About This!” box, Jesus Sweats, in the PDF download) How surprised are you to learn that blood in the sweat glands is an actual medical condition due to high levels of stress? How does this medical fact affect the credibility of the biblical account? What do you think was the cause of Jesus’ anguish and stress in the garden? 6. In John’s account of the death of Jesus, he gives a seemingly irrelevant, secondary detail that when the soldier pierced Jesus’ side to be sure he was dead, both water and blood came out. (See the “Think About This!” box.) Given that there was no medical knowledge of the conditions known as pericardial effusion (water around the heart) or pleural effusion (water around the lungs) at that time, what significance does this detail add to the credibility and accuracy of John’s account? 7. 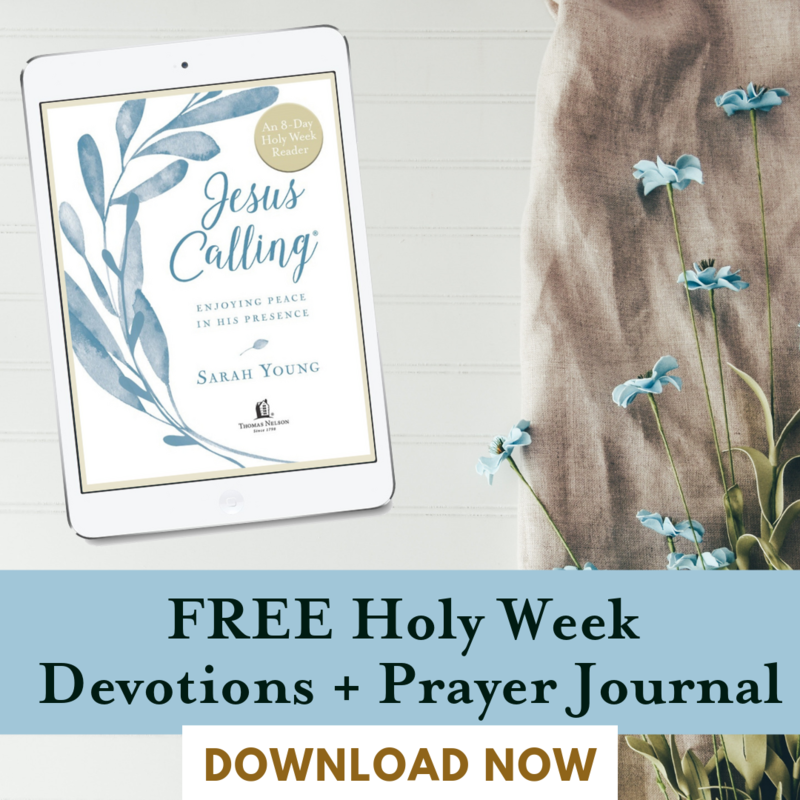 Read the accounts of the burial and the discovery of the empty tomb . (See the “Think About This!” box.) What questions do they raise or answer for you? Some skeptics suggest that if Jesus was really dead and buried, then the idea of an empty tomb is impossible. So they conclude that either Jesus never really died or the tomb was never found empty. What do you think? Was the tomb really found empty? Why or why not? 8. William Lane Craig, n. T. Wright, and Michael Licona contend that if the empty tomb story were fabricated by Jesus’ disciples, they never would have said that its discovery was made by women, due to women’s low status in that day. (See the “Think About This!” box) Does this argument make sense to you? Do you agree with it? Why or why not? 9. The creed in 1 Corinthians 15 (see the “Think About This!” box) is the only place in ancient literature where it is claimed that Jesus appeared to five hundred people at once . The Gospels don’t mention it. No secular historian mentions it . Do you agree with the reasons historian Gary Habermas gives that this creed is the earliest and one of the best authenticated passages in Scripture? Why or why not? How pivotal is this creed to your assessment of whether Jesus was seen alive after the crucifixion? 10. The apostle Paul writes in 1 Corinthians 15:14: “And if Christ has not been raised, our preaching is useless and so is your faith.” Why does Paul call the resurrection of Jesus the very linchpin of the Christian faith? Whether you believe, disbelieve, or are wrestling with doubts, Jesus is alive today and is willing to meet you wherever you are. The Bible teaches that faith is being sure of what is hoped for and certain of what cannot be seen. Do you believe in the resurrection of Jesus? 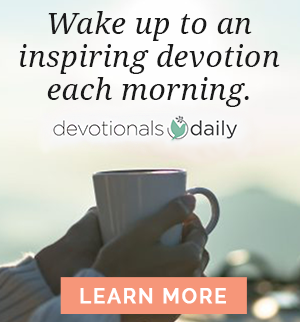 What is your response to today’s study? Lee Strobel was the award-winning legal editor of The Chicago Tribune and is the best-selling author of The Case for Faith, The Case for Christ, and The Case for a Creator, all of which have been made into documentaries by Lionsgate. With a journalism degree from the University of Missouri and a Master of Studies in Law degree from Yale, Lee wrote 3 Gold Medallion winners and the 2005 Book of the Year with Gary Poole. He and his wife live in Colorado. Visit Lee's website at: www.leestrobel.com. Are Your Kids Ready for Apologetics?